The True Story of Maddie Bright is Mary-Rose MacColl's sixth novel. Her first novel, No Safe Place, was runner-up in the 1995 Australian/Vogel literary award and her first non-fiction book, The Birth Wars, was a finalist in the 2009 Walkley Awards. Her international bestseller, In Falling Snow, was published to great acclaim in 2012 in Australia and the US. Swimming Home, published in 2015, won the People's Choice Award at the 2016 Queensland Literary Awards. 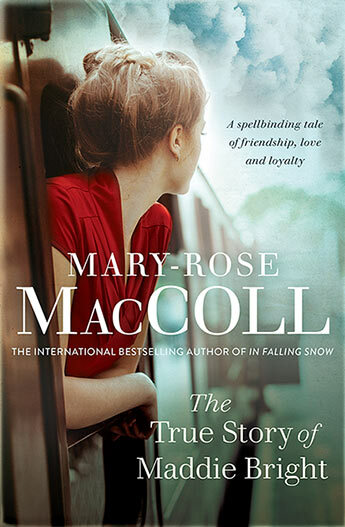 MacColl's memoir, For a Girl, was published in 2017 and was shortlisted in the Queensland Literary awards and the Victorian Premier's Literary awards. She lives in Brisbane, Australia, with her husband and son.